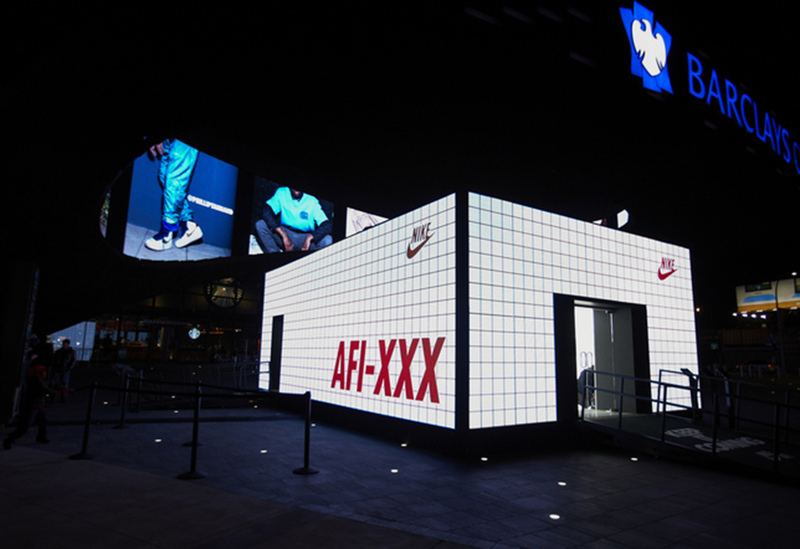 To celebrate Nike’s 30th anniversary of their iconic shoe, the Air Force 1, the company introduced Pivot Point; a limited time pop-up shop right outside at the Barclays Center in New York. 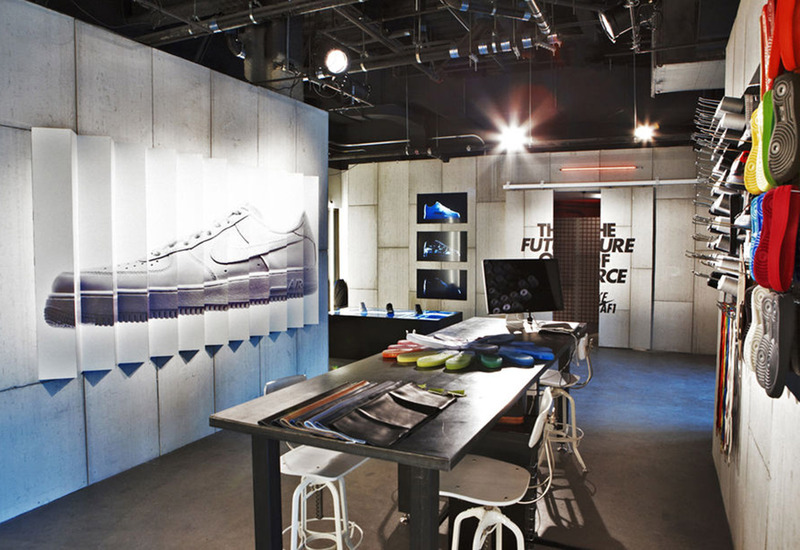 The shop's boxy design included an LED 2’ x 24’ x 12’ interactive video wrap using high definition LED tile. 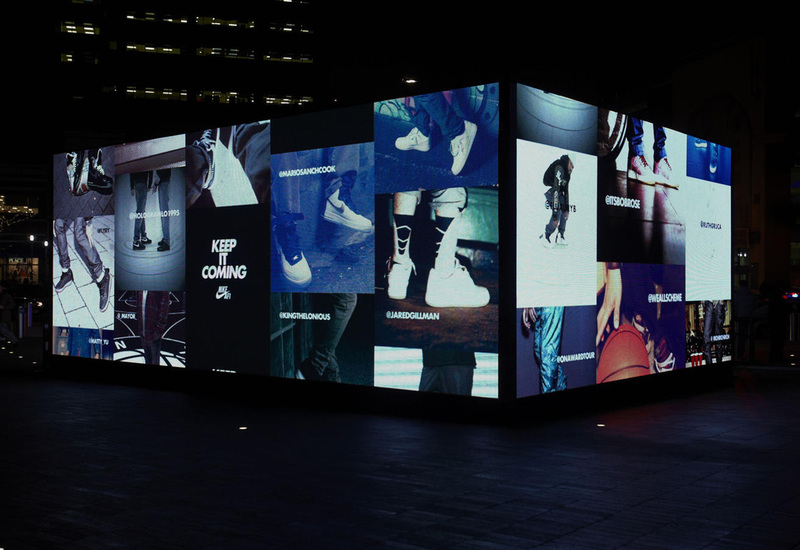 In basic terms, our team constructed an LED video box with a retail store inside where consumers consumed the latest and greatest Air Force 1 designs.